Celebration Part One: Barron’s 12th birthday celebration began with cake, ice cream and presents with his grandparents in Sandersville. It wasn’t that long ago that a birthday was just that – a day. In the New South, however, we celebrate a person’s birthday for many, many days. I have a theory about why this is: It takes us longer to celebrate birthdays now because of geographic dispersion of family, over-stuffed schedules and the vicious cycle of birthday one-upmanship. My oldest son, Barron, recently turned 12. Our commemoration of this blessed event began with a Saturday trip to Sandersville to celebrate with Carla’s parents. There was cake, ice cream and presents. My folks live 8-10 hours away. Although they have sacrificially made the drive to be with us on some of the milestone birthdays, we don’t see them on most birthdays. Grandparents are an important part of birthdays for us, and we have to make the time to go to them. When we lived in Macon, it was no big deal. We might even be able to scoot over to Sandersville for an afternoon. But now that we are in the Atlanta area, it’s a bit more of a commitment and takes some scheduling. When families lived closer together, it wasn’t as much of a challenge getting everyone together for a birthday, but covering the miles takes planning. With our schedule, making a trip to see family causes the birthday season to become elongated. 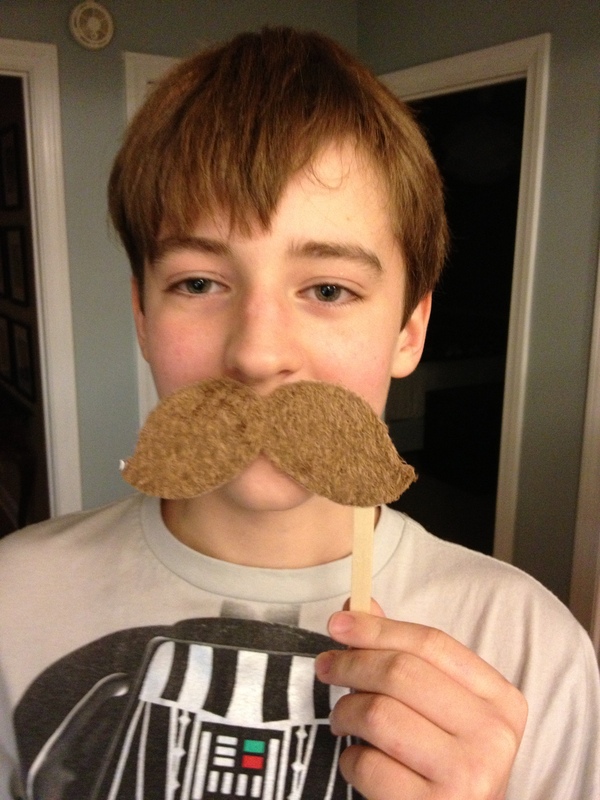 Celebration Part Two: Barron’s other grandparents from Florida sent a cool card with a mustache disguise in case all of the birthday mushyness caused him to need a disguise. This leads me to my second point: birthday celebrations take more than a day now because of our overflowing schedules. It’s difficult, if not impossible, to find time to celebrate a birthday, particularly if it happens to fall in the middle of a work/school week. Barron’s big day occurred on a Wednesday. We acknowledged his actual birthday by opening gifts on that day, but our mid-week church activities took precedence over any celebration. The sad truth is, most of our weeks are a sprint that may have only one or two small openings at night or on a weekend afternoon. And our kids aren’t even involved in sports. That ups the ante even higher. We ended up celebrating with Barron by going out for pizza and bowling on a Friday. It was fun, and we all enjoyed it, but it was several days removed from Barron’s actual 12th birthday. This brings me to my final point: birthday celebrations have become a season because we feel the need to make each year better than the previous year. If we started at the first birthday with a candle, a song and a cupcake, this wouldn’t be so bad. But we make the first birthday such a production that by the time kids are old enough to actually remember their birthdays we have to rent bounce houses or invite 30 friends to the gymnastics center or go bowling or play mini-golf or ride ponies or rent a limo or go to Disney World or on and on and on. 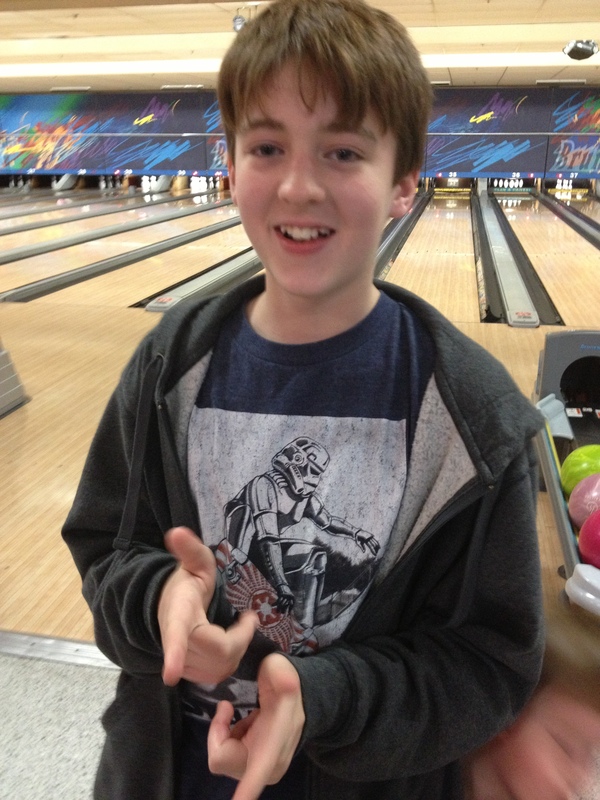 Celebration Part Three: Barron celebrates a strike as he dominates the family, including dear old dad, in a game of bowling. Growing up in the Dallas-Fort Worth Metroplex, the birthday destination of choice was Crystal’s Pizza Palace in Irving. As a kid the place seemed massive, and it was the only place to play such arcade game classics as Sea Hunt, Galaxian, Joust and Pacman. I didn’t feel that my parents were under pressure to deliver a bigger and better birthday experience each year. I just wanted to go to Crystal’s. But these days, it’s a hard pressure to resist. We want desperately to give our kids memorable birthdays. To do this, we sometimes have to schedule the event in increments, like Barron’s this year. It makes for a season of birthday celebration rather than a single day. Don’t get me wrong here. I’m talking about a societal phenomenon that’s not necessarily a bad thing. It’s not like we take enough time to appreciate our loved ones anyway, and I don’t hear anyone complaining about getting too much attention for their birthday. I just hope we can finish celebrating Barron’s 12th birthday before his 13th rolls around. Do your birthday celebrations extend past the actual day? How do you handle it? What was your most memorable birthday celebration? Leave a comment and extend this blog beyond a single day. This entry was posted in Uncategorized and tagged Barron, birthday, bowling, celebrations, children, contemporary South, family, Lance Elliott Wallace, Lance Wallace, New South, New South Essays, NewSouth, parenting, Sandersville, South, Southern, Southern Culture, Southern Living, Southerners, the South, traditions, week-long birthdays. Bookmark the permalink. Yes, Lance, I remember your 12th birthday at Crystal’s Pizza Palace. We celebrated with the Lister family right before our big move from Bedford, Texas, to Lake Wales, Florida. I hope Barron’s birthday was a great one. 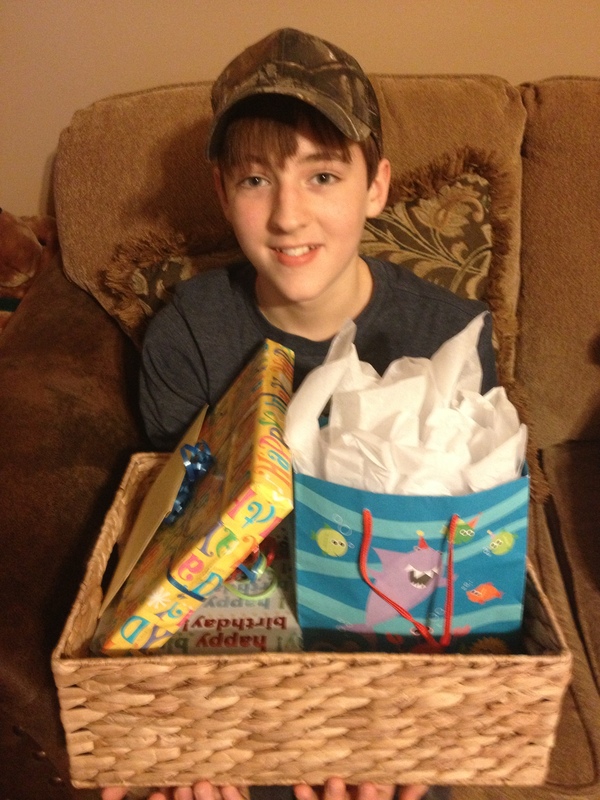 I can’t believe that he is almost a teenager.